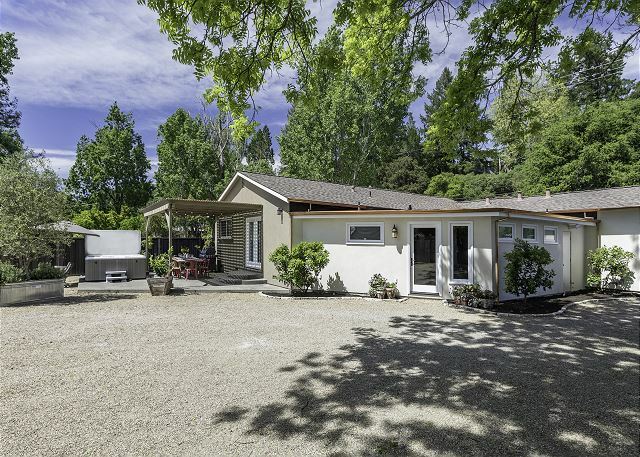 Very well located on a ½ an acre with the back fence on the edge of Dry Creek Valley’s West Wines Vineyards, this beautiful ‘home away from home’ awaits you and your guests! 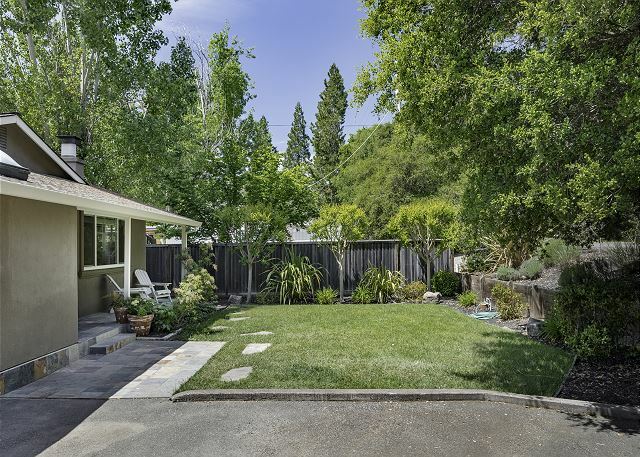 First, be welcomed by a lovely landscaped yard out front with mature plantings and a small lawn which you can enjoy while sitting on the Adirondack chairs, under the covered front porch. Newly repainted inside and out, this beauty has been completely renovated from top to bottom and professionally decorated by Myra Hoefer Design of Healdsburg, with a Country French feel, new dual paned windows with 2” shutter blinds throughout, recessed lighting, new tile flooring, and remodeled kitchen and bathrooms. Now let’s move outside to the back outdoor entertainment area which features a large wood west elm dining table, comfortably seating 8 under the covered patio, and with a new Weber Genesis propane grill. Just beyond the pergola is the new Hot Springs spa for 6+ with vineyard views. Two wooden chaise lounges with a large wooden umbrella complete this entertainment space. There are some planting beds next to the patio which will seasonally provide fresh herbs, peppers, tomatoes, and more. This back area is primarily graveled, there is also a large barn with a ping-pong table for guest leisure. Extra parking on the gravel drive in front of the garage will accommodate several more cars. Moving on towards the back of the property, there is a small seasonal creek with a fence and gate. Beyond the bridge is another fully fenced area which abuts the vineyards, giving you an up close and personal ‘grape escape’. 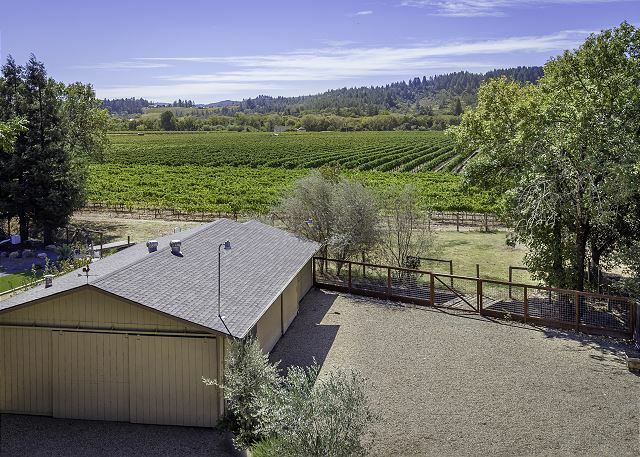 This area is also home to some willow and oak trees and provides forever views of the vineyard covered Dry Creek Valley floor and foothills beyond. 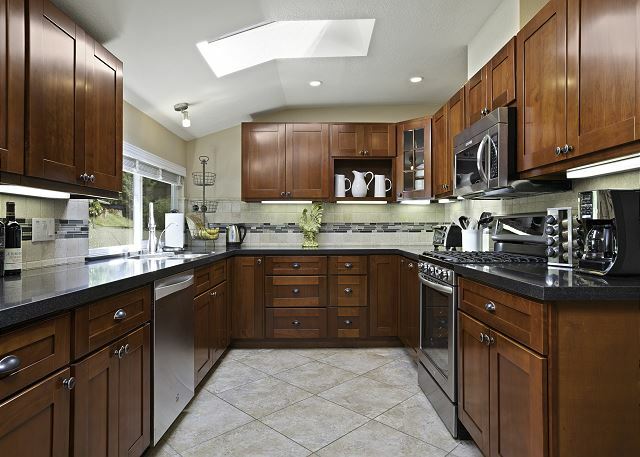 This home is located at the ‘mouth’ of the Dry Creek Valley and very convenient to its many famed wineries. The Alexander Valley wine growing region is just a little bit north and east of the property and only a 5-10 minute drive for more wineries, tastings, food, and fun! 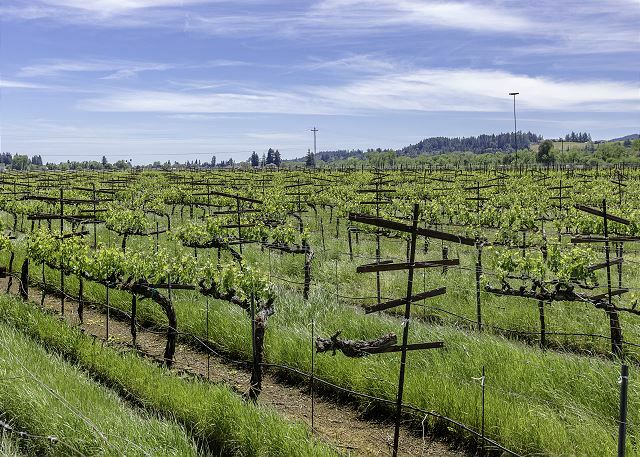 The Russian River Valley is the third acclaimed wine growing region near Healdsburg and is just a few miles south, off the 101, on River Road going west. 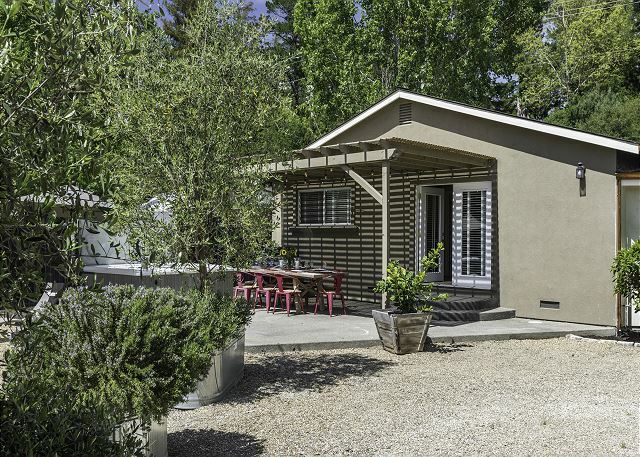 Many more nearby activities are also available including canoeing, kayaking, and fishing on the Russian River, and the Lake Sonoma Recreation Area with marina and boat rentals is just 10 minutes west of the Maison Du Soleil. The Armstrong Old Growth Redwood Preserve is also nearby about 30 minutes away, off River Road, and on the way to the beautiful and rugged Sonoma Coast. With a day trip, you can also explore the Silverado Wine Trail through Calistoga to the city of Sonoma. With so much to see and do, you will want to spend as much time as you have, and come back again for more fun and relaxation! The property description was correct and the house was very comfortable. This house is perfect and relaxing for a weekend in wine country! It’s location is unbeatable! We loved our stay here! Thank you for staying with us!! We would HAPPILY host you again!! Close to town, very clean, and up to date. Allowed us all to stay in one place and hang out together. Super nice house just outside of Healdsburg, everything was easy, clean and perfect. The house was beautiful, well decorated and the kitchen had everything you could need. 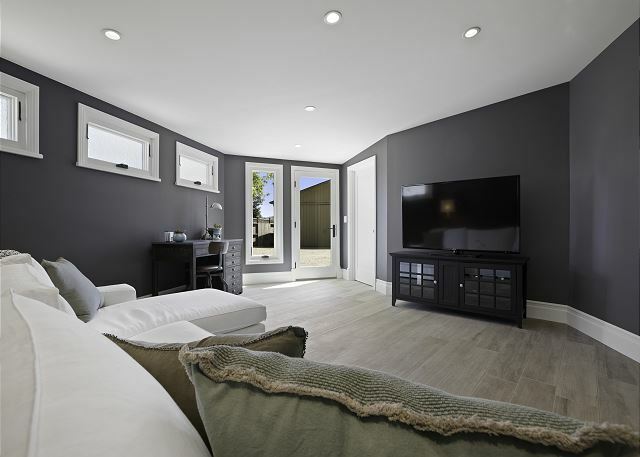 Very spacious and relaxing home that was clean and luxurious. The house was exactly as described and we had no issues during our stay. We will definitely look to rent again if we are in the area. Very nice house with lots of space, nice furnishings, decent parking, and good service from management. One issue we had was with the A/C. It got up to 96 on the days we were there, and were not able to adjust the A/C. 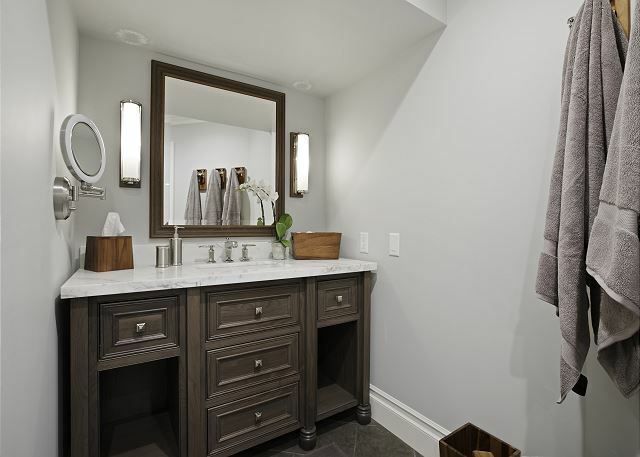 It was bearable in most of the house, but in the master suite, the bedroom thermostat was set a bit higher than we'd prefer and the bathroom was set to 80, which left it almost unusable. 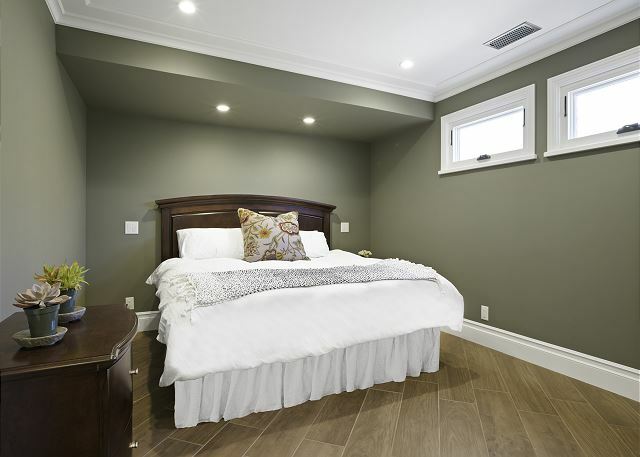 We understand the preference to save on heating and cooling costs, but it left us uncomfortable during the day. 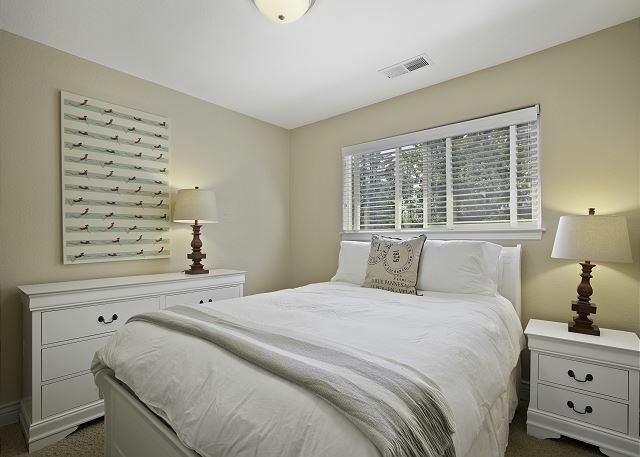 Maison du Soleil was a perfect home for 3 couples. We each had our own bathrooms and there was plenty of space in the home. It is also located very close to downtown and the wineries. The property description and pics are very accurate. We found it to be very clean with a well stocked kitchen for all of our cooking needs. The beds were all very comfortable. The back door has an unusual locking system and so we had to call and get instruction as to how to lock up the house and the management knew exactly what to tell us to get it to work. To avoid any questions, signage and/or directions should be in the information given with key/code information. All in all a great weekend and property!! I recommend both the house and management highly. This was a great house for our group of 8 to stay for winter wineland. 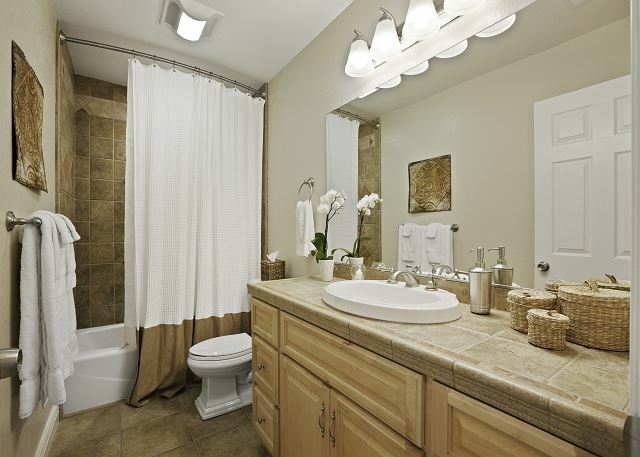 The property is spacious, clean and well-decorated. I never felt like I was cramped in any of the common spaces on bedroom. The location was great as we were close to many wineries but not isolated from groceries. 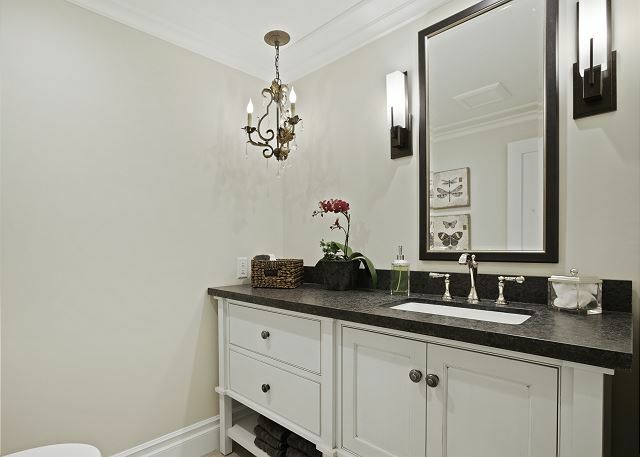 The home is beautiful, the location can't be beat, and the management company was a pleasure to deal with. It was an amazing stay with no issues. Thank you! I rent a place in Healdsburg for my family most Christmases. This place was one of our best rentals - we loved it! The house is perfectly located, very spacious and lovely. I fully intend to rent this home again. The house exceeded our expectations in every way. It is spacious and comfortable for a group of 8 and the location is perfect. We hope to come back again soon. The home was perfect for our group! 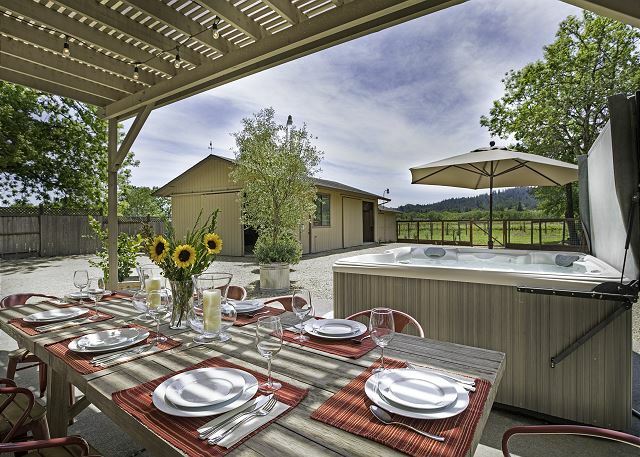 Located close to the town of Healdsburg as well as the wineries. 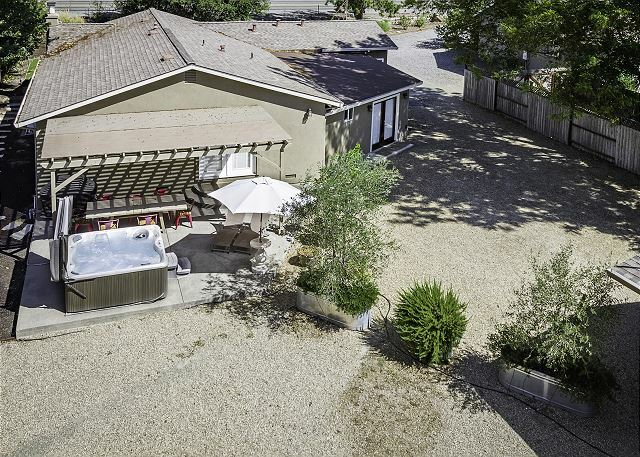 Spacious accommodations including a hot tub! We will definitely stay there when we return. A group of 8 of us stayed in the Maison du Soleil house for a friend's wedding and had a wonderful weekend. The house was spacious and nicely decorated. The wine country backdrop made it extra special. We'll definitely be back!